COLUMBUS, Ohio -- Believing that food can connect people, a student and food entreprenuer at The Ohio State University wants to make sure that no one is left out because of dietary restrictions or allergies. Sara Steinbrunner, an Anna, Ohio, native and senior in the College of Food, Agricultural, and Environmental Sciences (CFAES), has developed a garbanzo bean spread that is free of the eight most common allergens. 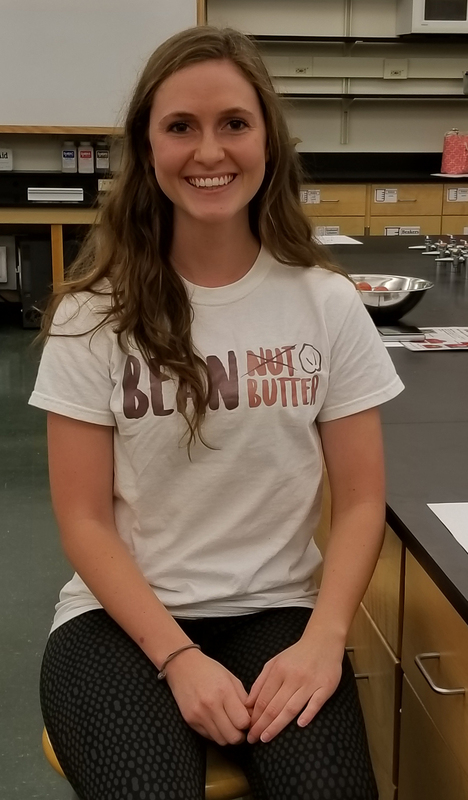 Steinbrunner and business partner, Taylor Crooks, are producing, marketing, and selling the spreads, called Beannut Butter, all while Steinbrunner is still a student. In April 2018, she and Crooks went into business together, forming Banzo Foods LLC, after recognizing a gap in the food spread market. “We noticed an increasing awareness of allergen diets and vegan lifestyles,” Steinbrunner said. Steinbrunner developed the spreads and ensures that they are nutritional and high in quality while Crooks, an Ohio University finance graduate, handles marketing and sales. 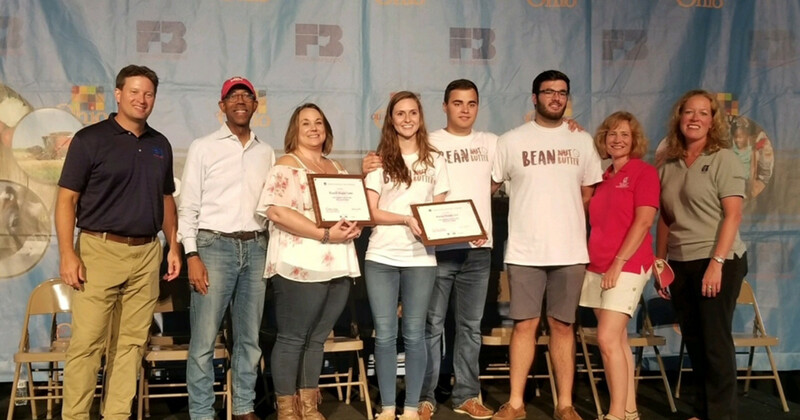 Last summer, the Beannut Butter product won the Ohio Signature Food Contest, which showcases innovative products ready for development and provides technical assistance to the startups. The contest, sponsored by the Ohio Farm Bureau Federation and the Center for Innovative Food Technology, a Toledo-based food product development company, picked two winners out of 50 applicants. 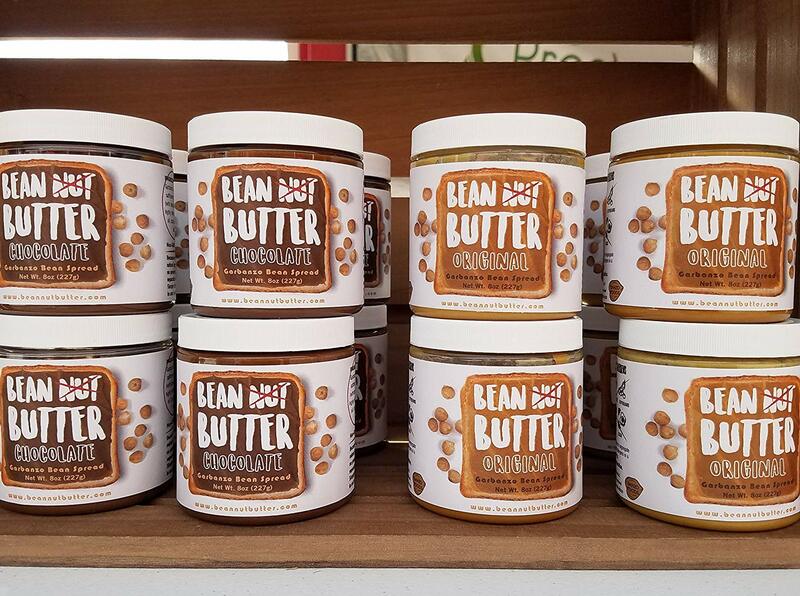 With help from Valente Alvarez, director of Ohio State’s Wilbur A. Gould Food Industries Center, the Beannut Butter business is scaling up. The center, which is part of the CFAES Department of Food Science and Technology, offers expert assistance to entrepreneurs and the food industry in the form of fee-based services that include pilot plants, research and development, nutrition labeling, and training courses. After successful trial runs at farmers markets and some local retailers, Beannut Butter is now available on Amazon, which is helping the company reach new customers. It's made with garbanzo beans, also known as chickpeas, which are an annual legume and a key ingredient in hummus. The “indulgent spreads,” as Steinbrunner describes them, currently come in three flavors: original, chocolate, and spiced cookie. Those who try one of the spreads for the first time are surprised to learn that it does not taste like hummus, she said. Steinbrunner compares the taste to Nutella. The entrepreneurial experience has been an opportunity for Steinbrunner to combine her passions for nutrition, science, and cooking with a love of creativity, she said. She is currently investigating methods to improve production and reduce costs while developing more flavors. Scholarships from generous CFAES donors have played a key role in Steinbrunner’s education. Currently, she is a recipient of the Wilbur Waight Canaga Memorial Fund scholarship. In previous years, she received scholarships through The Wayne E. and Mildred K. Smith Endowment Fund, the I & K Distributors Scholarship Fund, The Lloyd L. Mambourg Agriculture Student Support Endowment Fund, The Velvet Ice Cream Company & Dager Family Scholarship in Food Science & Technology, the Bert W. Martin Fund, and the Shelby County Alumni Scholarship Endowment Fund. “My parents instilled in me at a young age to get good grades and get educated,” Steinbrunner said. Steinbrunner has had some excellent experiences, she said, having worked as an intern at The J.M. Smucker Company in Orrville, Ohio. After graduation this spring, she seeks to land a research and development position with a food company, though she hopes she can eventually earn her living from Beannut Butter.